January might have seemed like a relatively uneventful month when it comes to visible updates on the server. However, under the hood our team has spent much time planning for the coming year and building a solid groundwork for future updates. We have also quietly implemented a few new changes to the game. We are aiming to achieve a completely revolutionized game experience in GunColony by our 4th anniversary. In this post I will talk about what we have done in the past few weeks and what we have planned for the months to come. One thing that you might have noticed is that the recoil for Snipers, Shotguns, Special Weapons and Sidearms feel very different. The new recoil system offers vastly improved target tracking and aesthetics while giving us more opportunities to balance our weapons against each other. It uses asynchronous code to update your viewing angle 60 times a second to deliver a seamless experience. 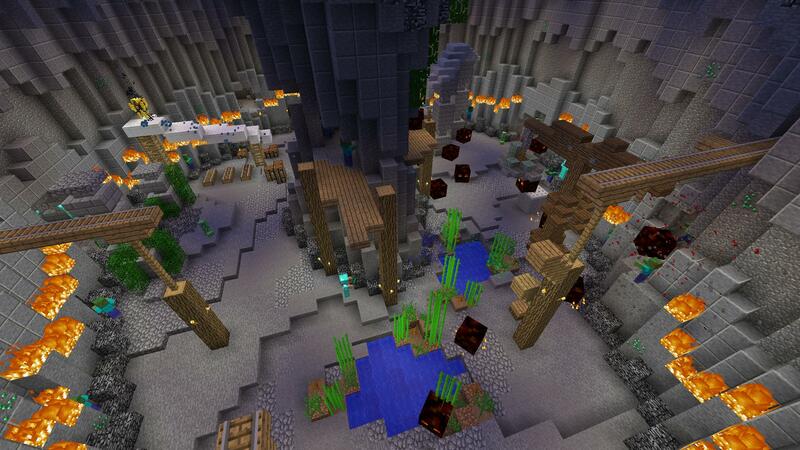 We have released a new Mineshaft Mob-Arena map. Check it out! Watch out for a surprise at Wave 10!! We have rolled out some stability improvements to the Hostile Alpha mode (that were tested earlier on the main GunColony server) that should make the game run more smoothly. In a few months, Hostile will come back in a big way. 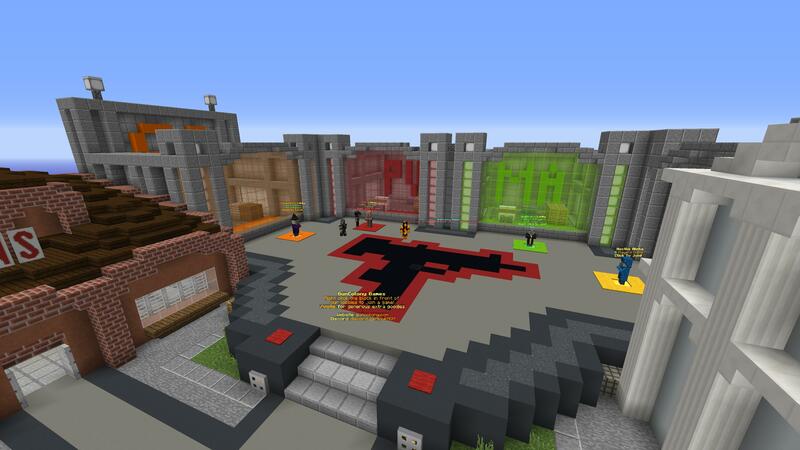 We have begun working on the rework in April 2018 and the new mode will feature extreme long-range combat unprecedented in Minecraft, as well as increased freedom for players to try new strategies towards victory. We have changed the blood particle effects on some monsters and headshot hits to provide a better visual experience. We have replaced the spawn with a slightly tighter version of it to better guide new players to getting into their first game. We have improved our Twitter channel and integrated it into the Discord and website homepage. First, how would the damage absorption work? would it slow down the mobs depending on which gun you have, or would it create knockback and stuff like that? 2. Would the consistent intervals be a number of waves that the players survive through for the player to be added to the arena? Maybe 5 - 7 waves depending on the map? 3. I only remember the 1 video that you did awhile back and that was awesome, but what will these video be like? Would it be a dev blog visualized? 1. Creates more knockback the more damage that is absorbed. 2. It'll most likely be a time interval that is sped up by the players alive clearing waves. 3. We'll start with a trailer and follow up with different types of video content. You'll likely see update blogs from me. "The new recoil system offers vastly improved target tracking"